For us, Tanzania represents a land of contrast; a veritable melting pot of tribal culture and traditional colonial style. After a number of research trips out to this equatorial East African ex-colony, we have designed a trip that we think shows off the very best that Tanzania has to offer. 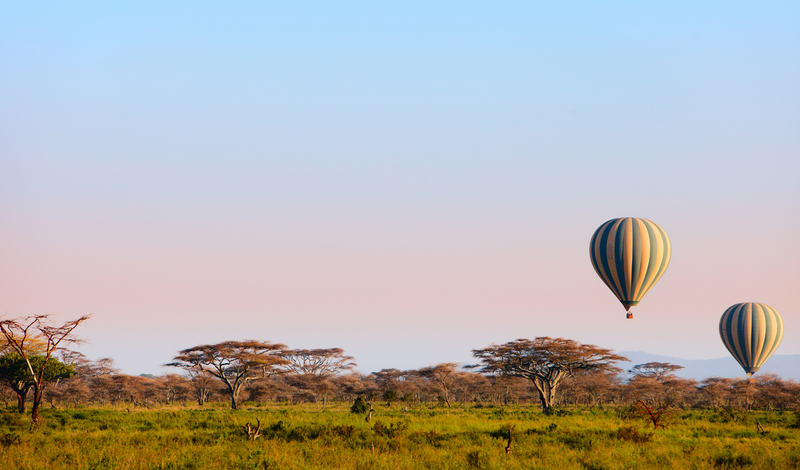 Your African adventure begins shortly after touching down in buzzy Dar es Salaam with a domestic hop up to the gateway of the safari lands: Arusha. You will be met by your guide for the next few days who will introduce you to life in the bush, just don’t be surprised if you start spotting lions and elephants even before reaching your camp…and what a camp it is. The Lamai Serengeti is a boutique safari lodge hidden amongst the Kogakuji Kopjes with huge views out over the Serengeti. With such an ideal location, a relaxing safari walk – or two a day, through the bush really is the best way to spot the mighty local inhabitants. Zebra, gazelles, impala, buffalo and giraffe can often be seen wandering around just below the camp (at the end of the swimming pool) whilst lions and leopards can usually be spotted taking shade under the acacia trees. The theme at Lamai is very much see but not be seen: the natural topography of dried river beds and huge boulders means it is possible to sneak up on animals and get much closer than you usually could without even being spotted. Visit from June to October and witness the visual feast of the Great Migration on your back doorstep – the site of 1.2 million wildebeest filling the Serengeti heading north into Kenya is one that will stay with you indefinitely. A little further south, situated between the vast plains of the Tarangire National Park and the tranquil waters of Lake Manyara, Chem Chem Lodge is nestled in an oasis of palms with stunning panoramic views of the Rift Valley’s western escarpment. With just eight luxurious tents designed to complement the lush surroundings, you will be cradled in privacy with some of Africa’s biggest game grazing right on your back doorstep. Spend three days in the bush in search of the big five (lion, rhino, leopard, elephant and buffalo just to recap) on foot where you can spot towering giraffe peak through the trees or in more traditional open-air game vehicles. Time your visit just right and you will be lucky enough to see a different side of the African bush, one that few visitors get to enjoy. In the summer months, the Savannah is baked a pale white by the sun leading to some excellent animal viewing opportunities. Stopping mid-afternoon in the middle of the bleached Bush for a champagne lunch around the campfire is not a meal quickly forgotten. Now we know what you are thinking…would any trip to East Africa really be complete without a few days by the sparkling Indian Ocean? We agree…so for the grand finale to your trip we will fly you over to the original spice island of Zanzibar for some indulgent relaxation. 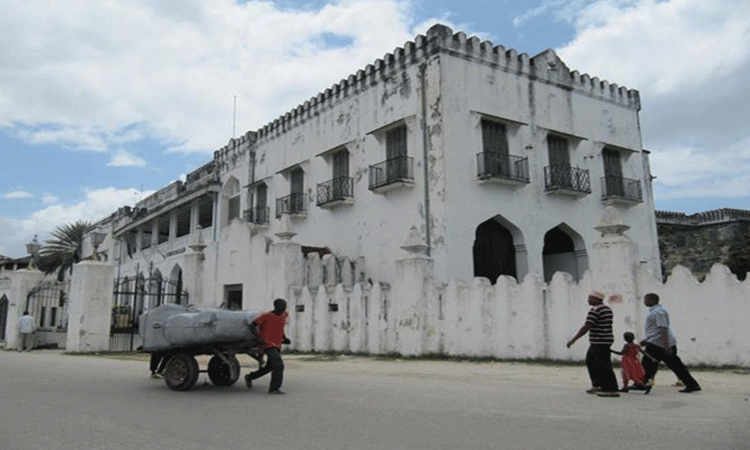 Just forty miles off the mainland, Zanzibar’s eclectic history is very much alive and on show; from its days as a Portuguese colony to the strong Arabic architectural influence, a private whistle-stop tour of Stone Town with one of our guides will give you an insight into the island’s fascinating past. Look forward to visiting local markets as well as getting to know the locals over a cup of local coffee. Your home for the next few days will be The Residence, a beachfront retreat that for us ticks all the boxes. Split your afternoons between your villa’s beachfront infinity pool and the talcum-soft sands that fringe the azure ocean or take to the sea in a kayak for a chance to spot dolphins playing just offshore. Further afield we think a trip out to prisoners island, not to be put off by the name, to snorkel over the shallow tropical reef and see the giant tortoises that often migrate through from the Seychelles is a must. For a final foray into the center of Zanzibar, we will arrange a private tour to one of the island’s oldest –and we think the best, spice farms. With our local guide in tow learn all about the production and uses of (and even have a go at picking) cinnamon, vanilla, saffron and the weird but wonderful, tope tope. So there you have it, a truly luxurious safari vacation to remember.